Jan Baptista van Helmont (1577 bis 1644) was one of the first to reject the basic elements of Aristoteles. He discovered that air is not an element and that an other “air” with different properties exists. He called it, based on the Greek word “chaos” which means “empty space”, according to the Dutch spelling gas. In the middle ages Paracelsus (1493 bis 1541) is reported to have noted that a gas is yielded when iron is dissolved in the “spirit of vitriole”. Turquet De Mayerne (1573-1655) noted that this gas was inflammable. However, hydrogen was first separated and identified in the second half of the 18th century; Robert Boyle (1627 bis 1691) produced “facticious air” from diluted sulfuric acid and iron. He showed, that facticious air only burns when air is present and that a part of the air disappears upon the reaction. He also noticed that the combustion products are heavier than the starting material. Therefore, he was against the elements of Aristotoles but his findings were not adequatlely acknowledged. The German chemist Georg Ernst Stahl (1659 bis 1734) was the doctor of the king Friedrich Wilhelm of Preussen and published 1697 the phlogiston theory. According to this theory all inflamable materials contain phlogiston, a hypothetical substance, which is liberatet in the combustion. Henry Cavendish (1731 – 1810) proved that there were different types of air, one of which was “inflammable air” and that a number of metals, when dissolved in acid, produced various amounts of this gas. He assumed that the metal is the source of the inflamable air. This was wrong, however, in accordance with the Phlogiston-theorie. He published in 1766  precise values for the specific weight and density. During the late 1770s, he made experiments with electrical discharges in a hydrogen-oxygen mixture thereby producing water. Cavendish’s discovery has stimulated the search for new gases and the Swedish Carl Wilhelm Scheele and the English Joseph Priestley independently found a gas, which is a component of the air, and it was called fireair. 1781 Cavendish burnt his inflammable air with the fireair and received nothing else than water. On 5th June 1783 the Montgolfier Brothers made the first public demonstration of a model hot-air balloon and in September – in the presence of King Louis XVI and Marie Antoinette – they flew a balloon carrying a sheep, a duck and a cockerel to demonstrate that it was possible to survive in the sky. Some weeks later Pilatre de Rozier, a science teacher, and the Marquis d’Arlandes, an infantry officer, became the first human air travellers when, in a hot-air balloon, they flew for 9 km (5.5 m) over Paris. Jacques Alexandre César Charles (1746-1823) realized that hydrogen was lighter than air, he built the first balloon made of paper and filled with 25 m3 hydrogen gas and, on 27 August 1783, the balloon ascended to a height of nearly 914 meters. The hydrogen was produced by the reaction of iron with sulfuric acid. Upon landing outside of Paris, it was destroyed by terrified peasants. On December 1, 1783, he, along with Ainé Roberts, ascended to a height of 549 meters in the newly constructed balloon „La Charlière“. Charles is best known for his formulation in 1787 of one of the basic gas laws, known as Charles’s law, which states that, at constant pressure, the volume occupied by a fixed weight of gas is directly proportional to the absolute temperature. Soon after the French Antoine Lavoisier (1743-1794) confirmed Cavendish’s experiments and wrote: “It seams that the phenomena can be explained without the use of phlogiston.”  According to Lavoisier’s antiphlogistic theory not the properties of mater were seen as elements but chemical elements as substanzies with specific properties. From todays view phlogiston was the energy (heat) which is liberated in the combustion. 1787 Lavoisier presented the proposal worked out by the group of chemists to the academy of scince in Paris . The fire air should be called “oxygene” from the Greek words “oxys” for acidic and “genes” for genesis, because Lavoisier assumed that oxygen to be the reason for the acidity. For the inflamable air the word “hydrogene” was proposed based on the Greek word “hydor”, for water former. Nicholson and Carlisle in 1800 have splitted up water into oxygen and hydrogen by passing an electric current through it. 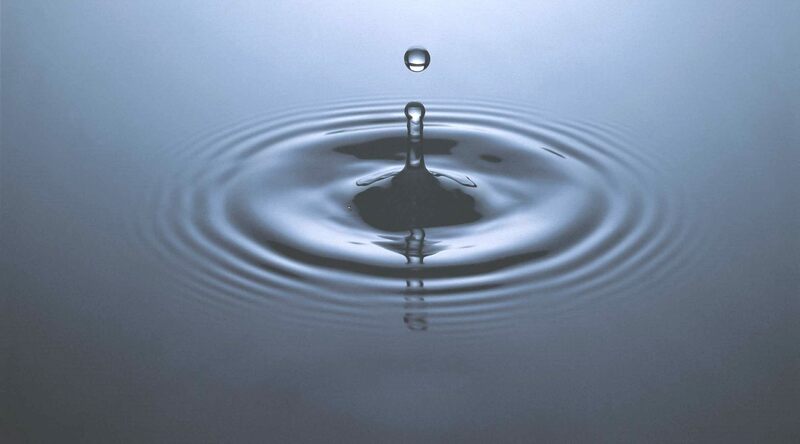 Water was the first substance to be „electrolysed”. Sir William Grove (1811-1896) constructed 1839 a “gas voltaic battery” which was the forerunner of modern fuel cells. He based his experiment on the fact that sending an electric current through water splits the water into its component parts hydrogen and oxygen. Grove allowed the reaction to reverse – combining hydrogen and oxygen to produce electricity and water. The term “fuel cell” was coined later in 1889 by Ludwig Mond and Charles Langer, who attempted to build the first practical device using air and industrial coal gas. However the development of the fulcell to a powerfull current source was very difficult and 1866 the first dynamoelectric generator was demonstrated which converts every type of mechanical energy efficiently into electricity. Therefore, fuel cells lost their importance as electricity generators and were not further developed until the middle of the 20th century. In 1929 Bonhoeffer and P. Harteck  successfully prepared the first pure para-hydrogen sample. 1931 Urey, Brickwedde and Murphy  investigated the visible atomic Balmer series spectra of hydrogen samples and discovery the hydrogen isotope H2 deuterium. 1935 Oliphant, Harteck and Lord Rutherford  synthesised “superheavy hydrogen”, H3 tritium, through neutron bombardment of deuterated phosphoric acid. The LZ-129 Hindenburg and her sister-ship LZ-130 “Graf Zeppelin II” were the two largest aircraft ever built. The Hindenburg was named after the President of Germany,Paul von Hindenburg. It was a brand-new all aluminium design: 245m long, 41m in diameter, containing 211’890 m3 of gas in 16 bags or cells, with a useful lift of 112’000 kg, powered by four 820 kW engines giving it a maximum speed of 135 km/h. It could carry 72 passengers (50 transatlantic) and had a crew of 61. For aerodynamic reasons the passenger quarters were contained within the body rather than in gondolas. It was skinned in cotton, doped with iron oxide and cellulose acetate butyrate impregnated with aluminium powder. Constructed by Luftschiffbau Zeppelin in 1935 at a cost of £500,000, made its first flight in March 1936 and completed a record double-crossing in five days, 19 hours, 51 minutes in July. The disaster  is remembered because of extraordinary newsreel coverage, photographs, and Herbert Morrison’s recorded radio eyewitness report from the landing field. Morrison’s words were not broadcast until the next day. Parts of his report were later dubbed onto the newsreel footage (giving an incorrect impression to some modern eyes accustomed to live television that the words and film had always been together). Morrison’s broadcast remains one of the most famous in history – his plantive words „oh the humanity” resonate with the memory of the disaster. Herbert Morrison’s famous words should be understood in the context of the broadcast, in which he had repeatedly referred to the large team of people on the field, engaged in landing the airship, as a “mass of humanity”. He used the phrase when it became clear that the burning wreckage going to settle onto the ground, and that the people underneath would probably not have time to escape it. It is not clear from the recording whether his actual words were „Oh, the humanity” or „all the humanity”. At the time, sabotage was commonly put forward as the cause of the fire, in particular by Hugo Eckener, former head of the Zeppelin company and the “old man” of the German airships. The Zeppelin airships were widely seen as symbols of German and Nazi power. As such, they would have made tempting targets for opponents of the Nazis. However, no firm evidence supporting this theory was produced at the formal hearings on the matter. Proponents of the “flammable fabric” theory contend that the extremely flammable iron oxide and aluminium impregnated cellulose acetate butyrate coating could have caught fire from atmospheric static, resulting in a leak through which flammable hydrogen gas could escape. After the disaster the Zeppelin company’s engineers determined this skin material, used only on the Hindenburg, was more flammable than the skin used on previous craft. Cellulose acetate butyrate is of course flammable but iron oxide increases the flammability of aluminium powder. In fact iron oxide and aluminium can be used as components of solid rocket fuel or thermite. Also, the naturally odorless hydrogen gas in the Hindenburg was ‘odorised’ with garlic so that any leaks could be detected, and nobody reported any smell of garlic during the flight or at the landing prior to the disaster. Opponents of the “flammable fabric” theory  contend that it is a recently developed analysis focused primarily on deflecting public concern about the safety of hydrogen. These opponents contend that the “flammable fabric” theory fails to account for many important facts of the case. Duggan, John (2002). LS 129 “Hindenburg” – The Complete Story. Ickenham, UK: Zeppelin Study Group. ISBN 0-9514114-8-9.